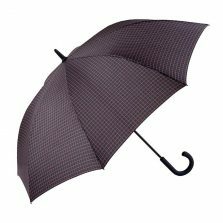 The splendid Ezpeleta Handmade Black Automatic Umbrella brand new to Umbrella Heaven. This handsome handmade umbrella is probably the most stylish black umbrella that you will ever see. 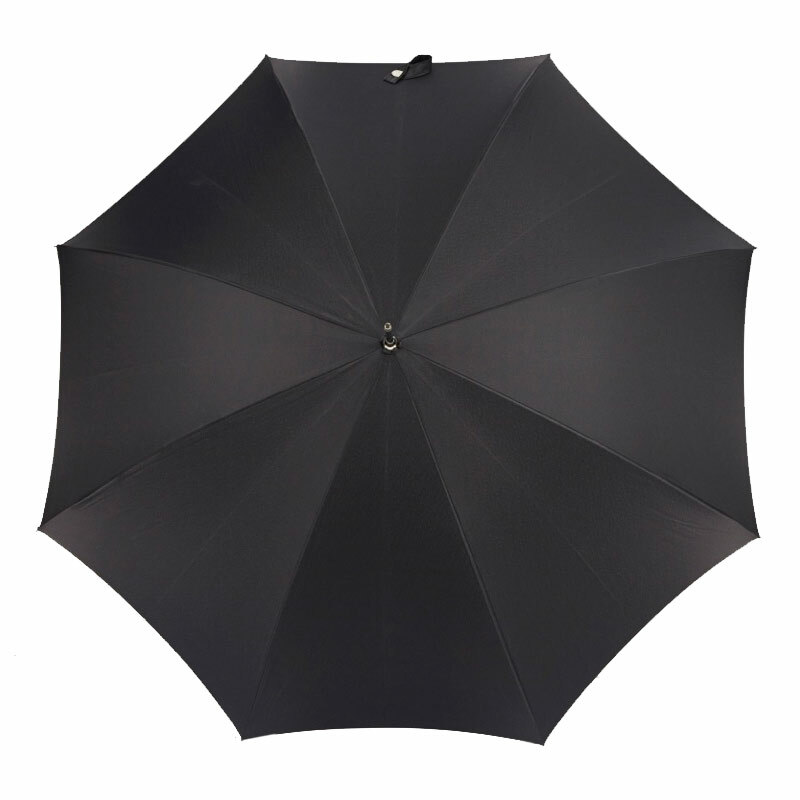 Check out the full description to see what sets this beaut apart from other black umbrellas. 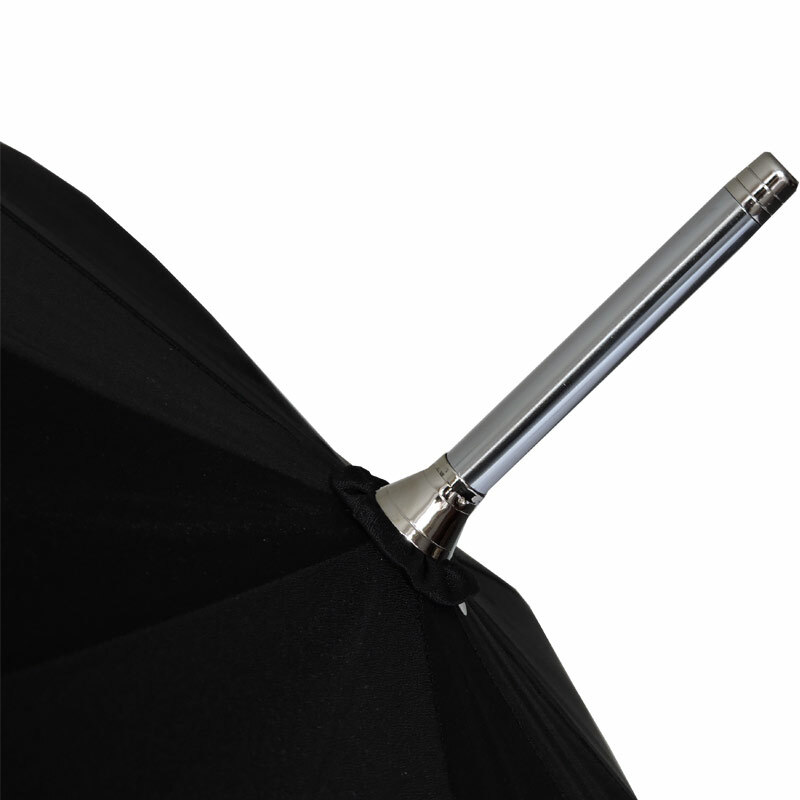 What can we say about the limited edition, Ezpeleta Handmade Black Automatic Umbrella? It’s an absolute beauty. 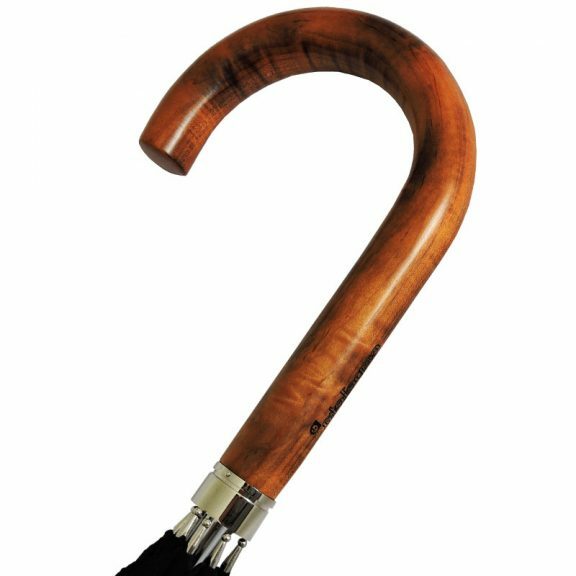 Handmade in Spain by craftsmen with over 75 years of experience, selecting the highest quality Italian handles and fabrics to produce the very finest umbrellas. No expense is spared and attention to detail is a priority. 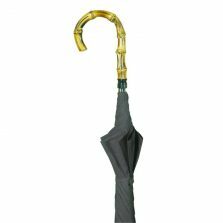 This particular umbrella has a glorious glossy black taffeta canopy coated on the underside with polyurethane rendering it waterproof. 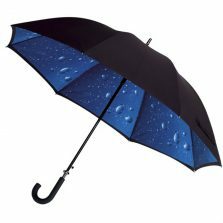 The generous canopy is large enough for one or two and fastens with a stitched tie wrap which does up with a branded press stud. The canopy is finished off with chromed spoke tips. The chromed metal shaft leads down to the polish grained oak handle which has a chromed cuff at the top. This smart umbrella is a real ‘occasion’ umbrella. If you are looking for a black umbrella that stands out from the crowd then is it. 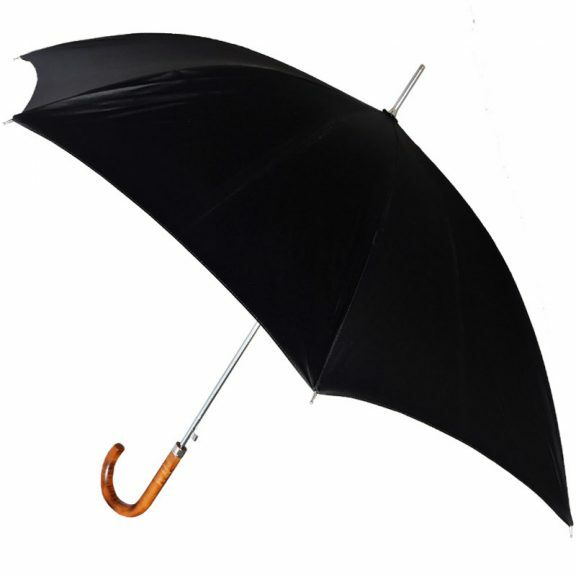 With this umbrella you can have any colour so long as it’s black ! This is one of those products that truly needs to be seen to be believed. 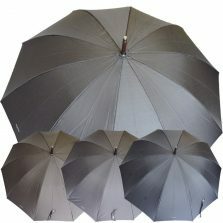 Click now if you would like to see more black umbrellas. 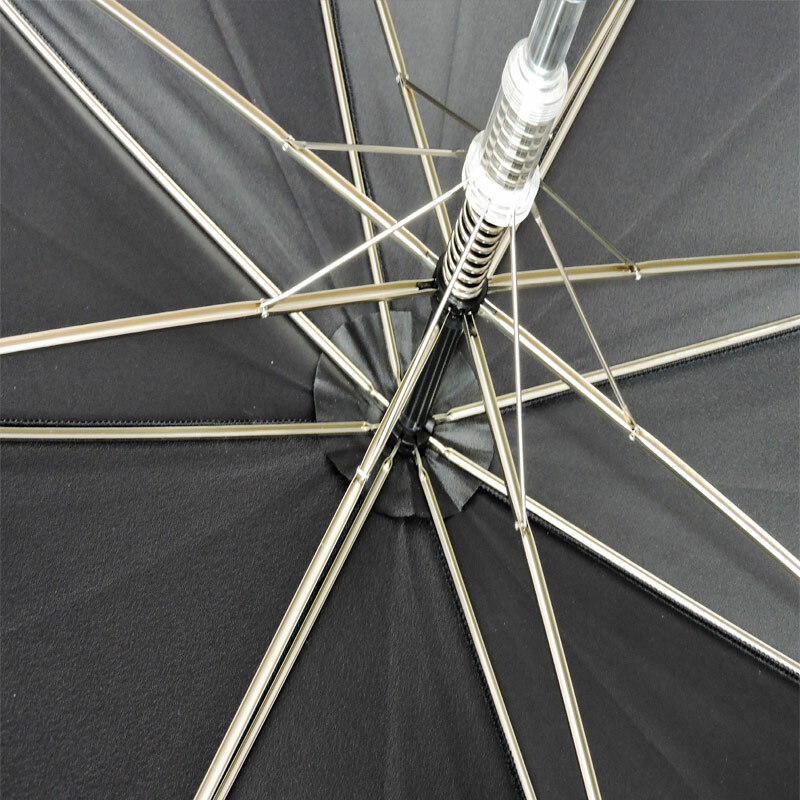 Click here to see the rest of our Ezpeleta umbrellas. 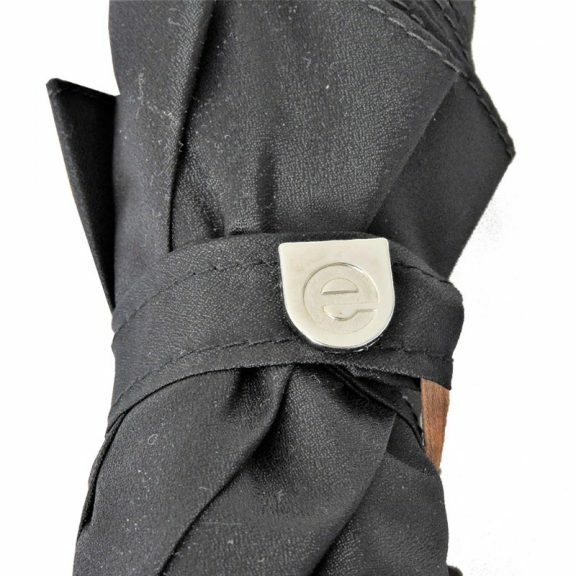 We are very proud to have them in our range.